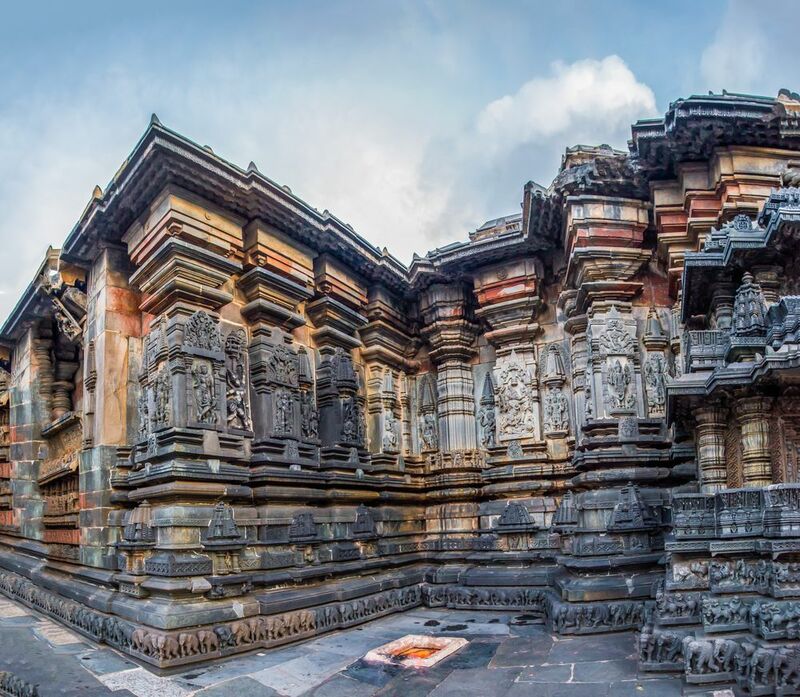 Your two-week adventure begins in India's Maximum City - Mumbai on the Konkan Coast. 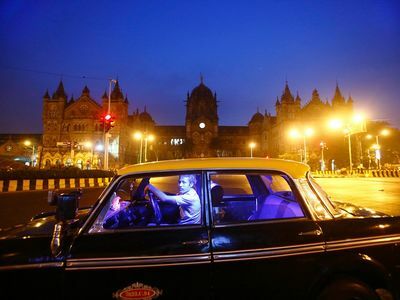 Skip the boring car-based tours, and see urban India with all its quirks, chaos and surprises from the vantage point of crowded buses, trains, bicycles and even the ubiquitous Mumbai yellow-cab. You will experience how quickly this city comes alive in the morning, when you see it before dawn, and you will see how life carries on well after dark. 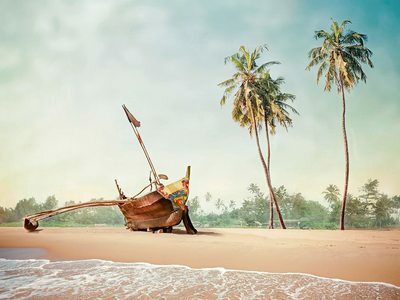 Embrace all the cliches in Portuguese Goa - beaches, shacks, parties and great food! But step a few miles inland and you see a different place - stunning churches, historic city precincts, and beautiful pousadas and villas tucked away in the verdant countryside - lovely places to stay. 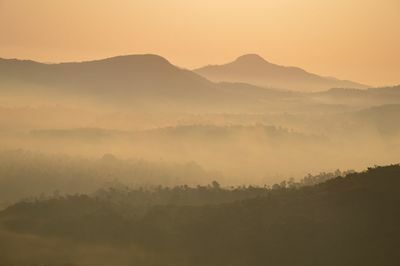 Board one of India's most scenic train journeys over contrasting landscapes - tropical forested mountains give way to boulder filled semi-arid landscapes of the Deccan Plateau. 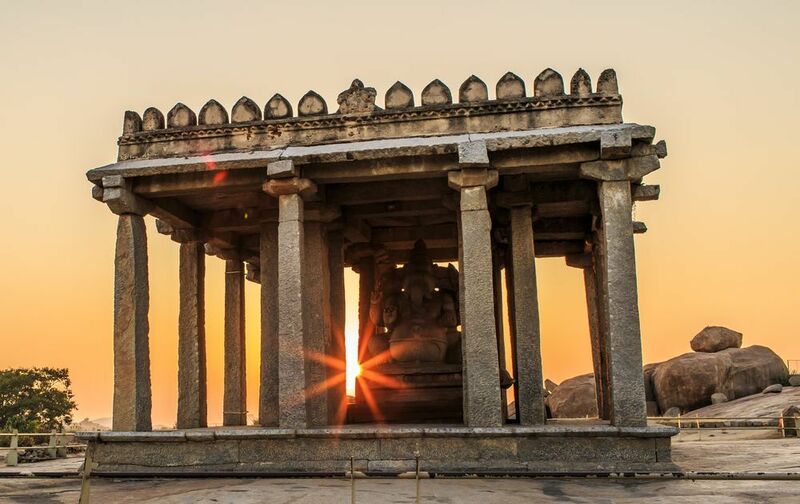 Here at Hampi, the remnants of a once majestic empire speak of prosperity, riches, power and wisdom. Drive south into the Baba Budan Giri Hills, where the first coffee seeds from Eithiopia were planted. Stay in a coffee estate and trek some of the high peaks with jaw-dropping views before you descend into India's throbbing Silicon Valley in Bangalore. An unusual Indian experience for the young at heart combines urban adventures in Mumbai, beach time in Goa, explorations of the ruins of ancient empire in the heart of the country, and walks and treks amidst stunning coffee and forest filled mountains of the South Western Ghats. Arrive into Mumbai in the early hours. Transfer to hotel. Sleep through the morning and relax in the afternoon. Step out in the evening for a private night tour of Mumbai. The oppressive heat of the day evaporates and gives way to a cool evening breeze. As you drive by the public sea-face of Marine Drive, watch Mumbaikars enjoying the rose-coloured sunset. Traveling primarily by car, you will witness the calm of Banganga Tank and a Jain Temple, and the chaos of CST station. 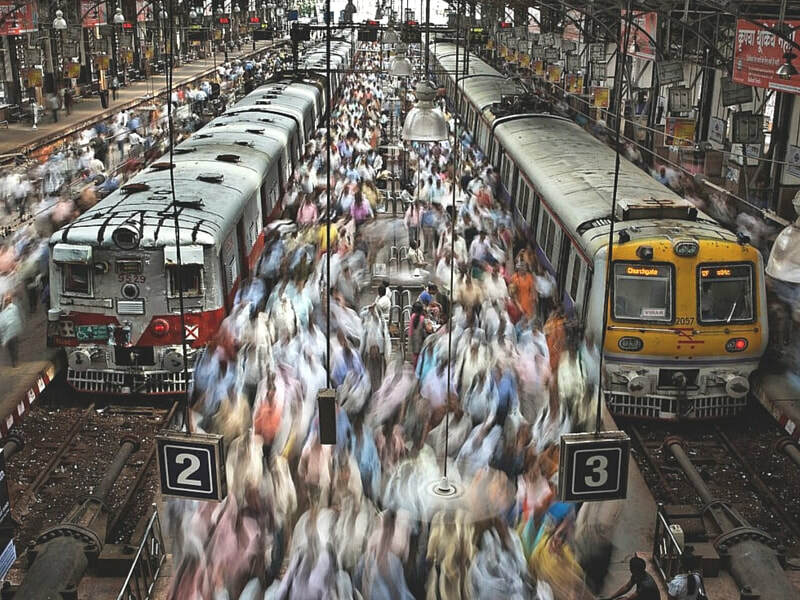 This morning, with your private guide, ride the famous suburban train, hop on a classic red bus, cruise around town in a typical black and yellow taxi and look on as millions of Mumbai's working class head out in the morning. 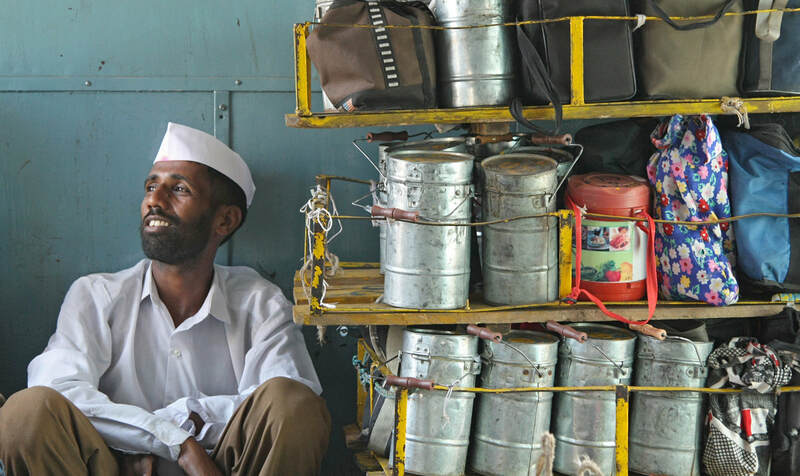 Discover Mumbai beyond the typical tourist sites; walk through a number of different markets and meet the world famous Dabbawallahs (the workers of India’s intricate mass lunch delivery system). End your morning with a special tiffin (lunchbox) lunch delivered to you by a dabbawallah service and have a picnic at the nearby park. Your afternoon is free for self-exploration. Wake up with the early risers of Mumbai, and explore South Mumbai by cycle on a join-on or private tour. Wind your way through quiet back lanes and visit must-see Mumbai sights like the Gateway of India and CST Station as well as some hidden gems like Sassoon Dock and Bombay Panjrapole (cow sanctuary). At the end of the tour, you’ll stop for a well-deserved South Indian breakfast. In the afternoon, go on a self-guided exploration of the Bhau Daji Lad Museum that have well curated exhibits that speak the history of both India and Mumbai. Transfer to Mumbai airport to board your flight to Goa. Arrive into Goa and drive to your hotel or guest-house on the beach or in the countryside. Today is a day of leisure - hire a scooter or motorcycle and visit some of the beaches. Or get a car and driver to take you on self-explorations. In the morning drive to Panjim, the state capital. 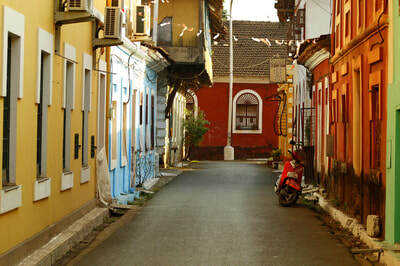 Join a historian on a guided journey in the Old Quarter of Panjim through time, often going back several centuries, filled with local trivia, anecdotes, and historical detail that only someone who has grown up on Panjim’s streets can offer you.. 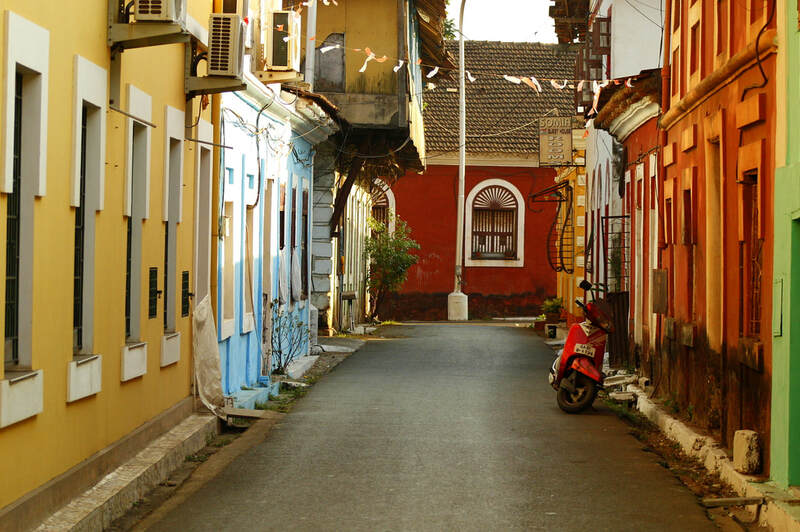 This walk takes us along the central spine of Panjim past the old Adil Shah Palace, to the steps of the Panjim Church, and ends at the old Central Library to see the exquisite azulejo tile mosaics on the walls in the vestibule. Your afternoon is free. An early morning start on this privately guided trip to Old Goa, once a city that rivalled Paris and Antwerp. This will involve a visit to several churches with explanations of architectural details, insights into the retables, paintings, a discussion on life in the “Old City” as we walk along streets where ancient markets bustled, and speculation on a whole host of reasons for its rapid rise and eventual decay. Your afternoon is free. Early morning departure by train to Hospet from Vasco Da Gama at 0700 hrs. Arrive Hospet at 1500 hrs in the afternoon. Your day train journey traverses the beautiful Western Ghat mountains crossing valleys, spice and coffee plantations, and tropical jungle. The train may slow down as you pass an iconic waterfall. 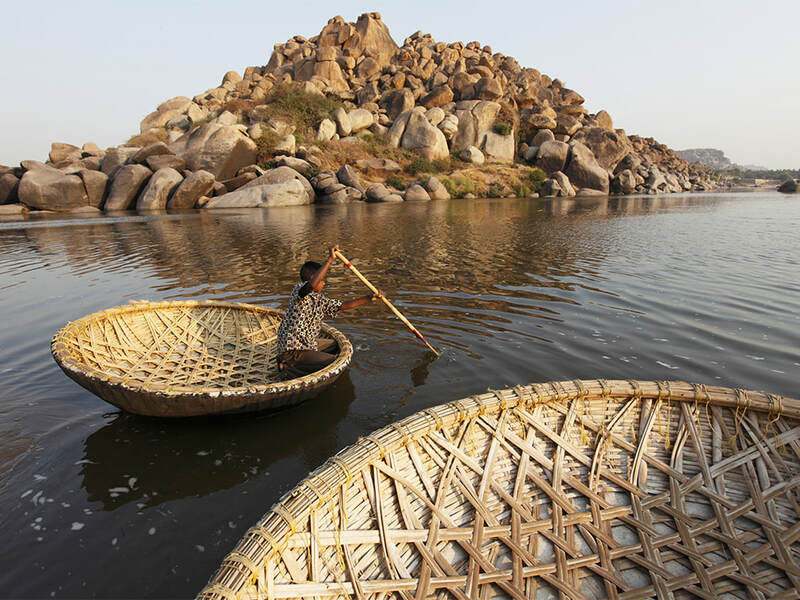 Arrive into Hospet and transfer to your accommodations in Hampi. This morning go on private tour of Hampi led by an expert. You will explore the rich history of Vijayanagara empire, learn about unique architecture of various monuments, hear stories of victories and defeat. 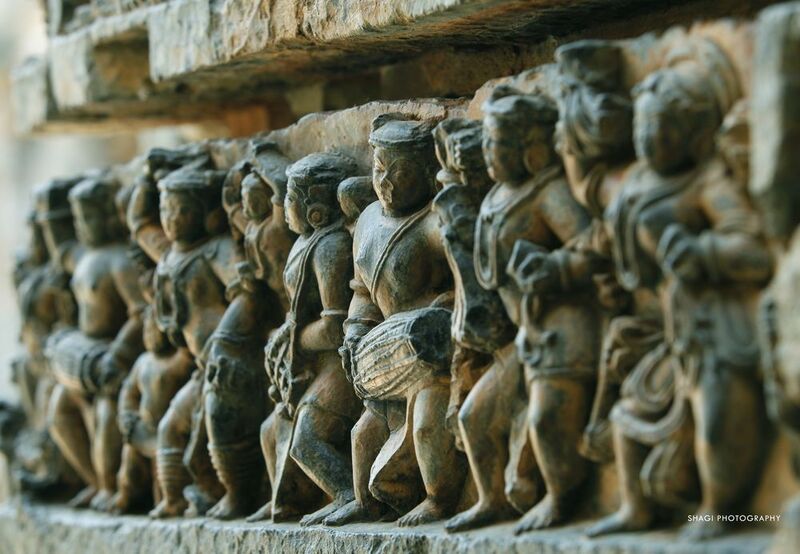 You will first cover the Sacred Center comprising a number of ancient temples and structures in this area. After lunch, we continue our exploration with the Royal Center area. This area was the citadel of the Vijayanagara kings, and it encompasses courtly and military structures of the core zone. This morning on your private tour, you will get a glimpse of the life in village settlements around Hampi and an opportunity to enjoy the stunning landscapes. We will ride on mopeds (optional), bullock cart and auto rickshaws as we explore villages, the rural countryside, farms, irrigation canals and ancient cave paintings. We will visit local tea shop, women’s handicraft organisation, village schools and temples. We will also enjoy a sumptuous home cooked meal at a beautiful picnic location. Transfer by road from Hampi to Chikmagalur. 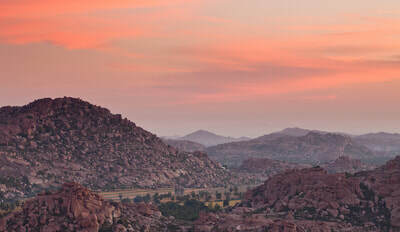 Stop at Chitradurga for lunch and to see the 17th century fort that was a stronghold of various empires of the Deccan. Drive onwards to your coffee estate farmstay in the mountains of the Malnad. 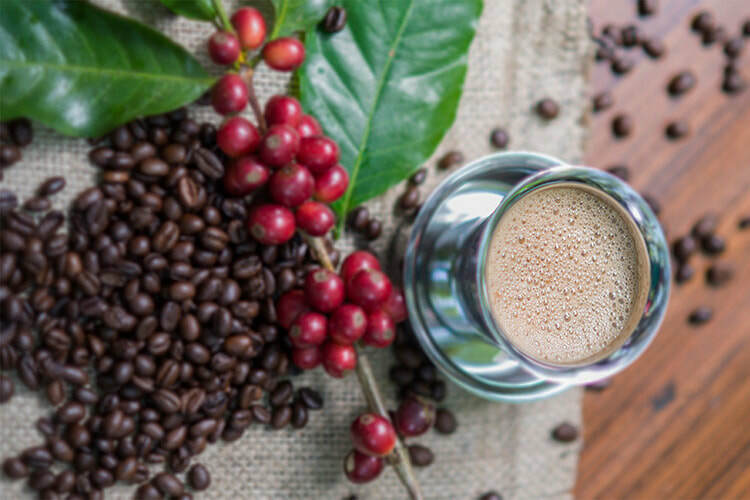 Walk through the coffee estate and see their Arabica and Robusta coffee bushes, pepper vines, and learn what it means for coffee to be ‘shade grown’. End your walk with a coffee picnic in the middle of the estate. Go on a guided day trek from Mullayanagiri, the highest peak in Karnataka, to Baba Budangiri peak and a stunning trail along a narrow ridge. Serpentine paths, steep inclines, grassy patches, low visibility and unpredictable weather make the trek to these peaks unforgettable. Depart for Bangalore in the morning stopping to do a self-guided day trip to the world famous Hoysala temples in Belur and Halebid. Arrive into Bangalore and spend a last evening in the city. Transfer early in the morning to the airport and fly home.